Whether you want to work, live or play in Dundee, s1 has all the information you’ll need about the city. Dundee sits on the banks for the River Tay estuary and is Scotland’s fourth largest city by population. Although a medieval city in origin, it wasn’t until the 19th century that Dundee really flourished with the huge demand of the Jute industry. From the much overstated “jute, jam and journalism”, Dundee has transformed itself into a city with thriving software development, bio tech and medical research industries. A £1bn regeneration plan for the city’s waterside, where they are building northern Victoria and Albert Museum (opening 2015), will also see tourism play an even bigger role in the city’s employment sector. Accountancy, IT and Engineering are dominating the available jobs market in Dundee over recent times. This is encouraging for the city as these sectors are generally high paying and stable jobs. All the development work in the city has helped to keep the employment rate at 71.8%, well above that of Glasgow (Source: Labour Force Survey 2011). 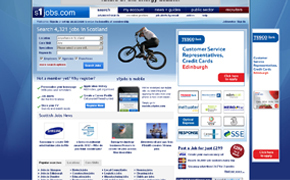 Currently there are over 170 jobs in Dundee advertised on s1jobs. Known to have had major problems with slum housing; Dundee experienced substantial redevelopment in the late 19th century. During this period housing areas such as the Logie Estate and Craigiebank Estate were designed by acclaimed architect James Thomson. Like many cities in the UK, the second half of the 20th century saw poorly planned expansion with high density, low quality housing and high rise flats. From the 1990s onward these developments have started to be demolished and rebuilt with better access and amenities. This is expected to continue for the next couple of decades due to the size and scale of some of the developments. 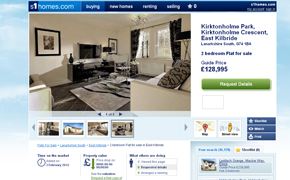 In December 2012 is was announced that Taylor Wimpey and Bett Homes were planning to build 270 new homes on the outskirts of the city, the biggest new development in over a decade. Currently on s1homes, there are over 60 houses for sale in Dundee and over 30 flats for sale in Dundee. There are currently over 80 flats to rent in Dundee on s1rental. Dundee has a thriving music scene with venues such as The Doghouse (now closed), Fat Sam’s and Duke’s Corner playing host to bands from all over the world. Bands such as The View, Average White Band and Snow Patrol (the members all went to Dundee University) also formed in the city. Although the Victoria and Albert Museum doesn’t open until 2015, Dundee has a number of other museums and attractions such as RRS Discovery, Scotland’s Jute Museum and the Dundee Contemporary Arts building. Dundee is connected to Perth in the west and Aberdeen in the north via the A90 which circles Dundee via the Kingsway expressway. The Tay Road Bridge also connects the city to the Kingdom of Fife. Dundee has two main train stations, Dundee and Broughty Ferry which connect the city to Perth, Aberdeen and Edinburgh. To service the needs of big business, Dundee Airport has regular daily flights to London City and helps the city stay competitive in today’s global market. The city of Dundee has a well regarded educational environment with 38 primary schools, nine secondaries and two special needs schools. Dundee is also home to two universities; University of Abertay and Dundee University.